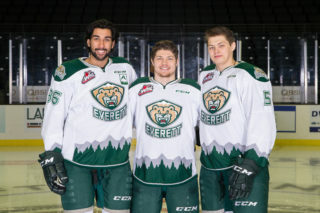 EVERETT – Six current Everett Silvertips players attended Summer Development Camps with NHL teams in July, including two drafted players and four free-agent invitees. Montreal first-round picks Noah Juulsen and Nikita Scherbak were both at camp with the Canadiens, while Kevin Davis joined Edmonton, Austin Lotz was in Buffalo, Tristen Pfeifer was with Arizona and Carson Stadnyk skated with St. Louis. Juulsen and Scherbak are each Montreal first-round picks after being selected 26th overall in the last two NHL Drafts: Scherbak in 2014 and Juulsen this year. Juulsen, 18, is getting his introduction to the Canadiens organization following a breakout campaign in which he racked up 52 points (9g/43a) and a +22 rating during his second season with Silvertips. Scherbak, 19, hopes to prove himself pro-ready after pacing the U.S. Division Champions in scoring with 82 points (27g/55a) last year. A signed Montreal prospect entering his 20-year-old season, Scherbak is also eligible to play in the American Hockey League next year. The Canadiens’ development camp ran from July 5-9. 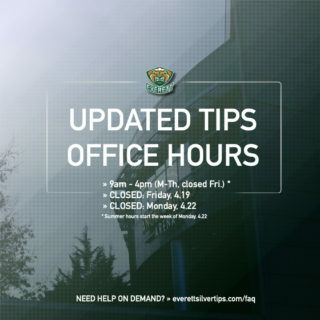 Davis, 18, was a free-agent invite to Edmonton Oilers Orientation camp, where he joined now-former Silvertips teammate Ben Betker on the camp roster from July 1-6. The Kamloops, BC native was ranked 163rd among North American skaters by NHL Central Scouting ahead of this year’s draft, but went unselected in his first year of eligibility. In 64 games with Everett last season, Davis finished with 25 points (3g/22a). Betker is a signed Oilers prospect entering his first pro season after playing out his junior eligibility in Everett last year. Lotz, 20, was in camp with the Buffalo Sabres from July 6-12 for his third NHL tryout in as many years after skating with Carolina in 2013 and Vancouver prior to last season. The veteran Silvertip was one of six goaltenders and roughly 40 total players in Buffalo’s camp. 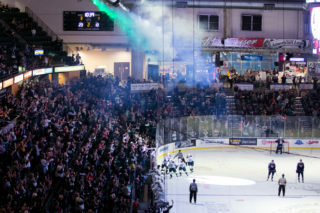 Lotz appeared in 48 games for the ‘Tips last season, posting the WHL’s fifth-best goals against average at 2.73 and a .901 saves percentage on his way to a 25-15-1-3 record with four shutouts. Pfeifer, 19, joined his hometown Arizona Coyotes as a free agent invite for a smaller prospect development camp consisting of only 28 players from July 6-10. 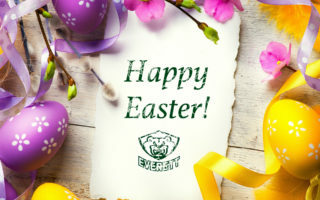 The Phoenix native enjoyed a highly-successful rookie season with the Silvertips last year, climbing to 135th in the final NHL Central Scouting rankings prior to the draft. Pfeifer proved a steady contributor on the ‘Tips blueline, picking up nine points (2g/7a), 48 penalty minutes and a +5 rating in 49 WHL appearances last year. Stadnyk, 20, got his first opportunity at an NHL tryout July 6-9 with an invitation to St. Louis Blues prospect camp. 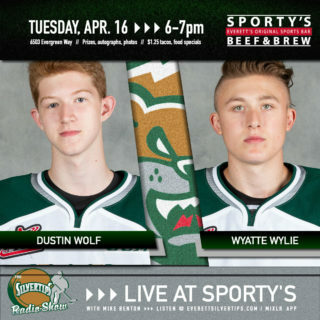 The skilled winger from Saskatoon, Saskatchewan enjoyed a standout 2014-15 season for the ‘Tips, finishing second on the team with 27 goals and 69 points while chipping in 42 assists to set career bests across his stat line. Stadnyk is expected to garner interest from NHL teams as a potential free agent signee as he enters his overage season in the WHL. Also attending development camp this month is Silvertips alumnus and San Jose Sharks defenseman Mirco Mueller, who is entering his second NHL season with the Sharks after two years in Everett.